“DISINGENUOUS“ – lacking in candor; also : giving a false appearance of simple frankness : calculating. 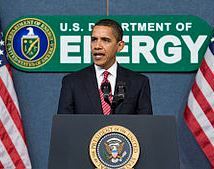 (TheHill.com) – President Obama on Friday confronted critics who have opposed his administration’s regulatory efforts to get Americans to use less energy. “In some cases we’ve actually been criticized that it’s a socialist plot that’s restricting your freedom for us to encourage energy-efficient light bulbs, for example,” he said at a town hall event in Binghamton, N.Y.
“I never understood that but you hear those arguments,” he added. Well I certainly feel more confident now, knowing that the President is finally clearing his busy golf-&-vacation schedule in order to once again “focus like a laser” on the economy. 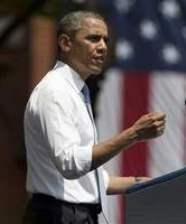 President Obama will deliver the first in a series of economic speeches Wednesday aimed at gaining the upper hand in this fall’s looming budget showdown with Congress. Let’s BUILD the #KeystoneXL Pipeline, and PROTECT the Environment! 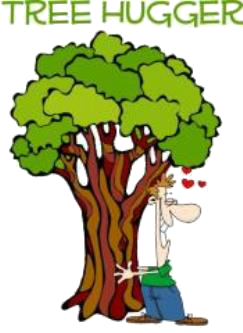 I just realized something: I think I’m an “environmentalist”. No, I haven’t suddenly started to wander around in leather sandals and a hemp shirt (at least, not yet). But based on a recent news report, I’m fairly certain that I’m more concerned about the welfare of the environment than the folks we usually see purported to be ‘saving the planet’. 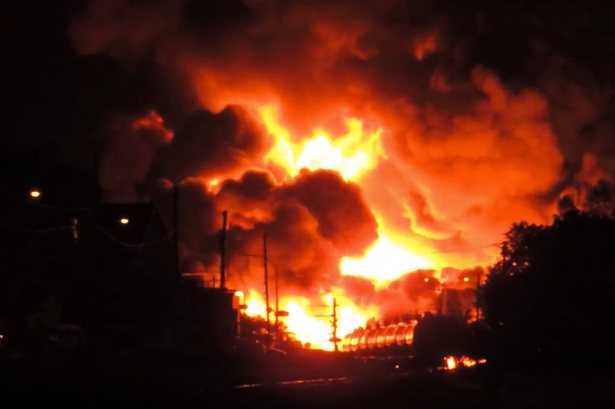 A few days ago near the Quebec town of Lac-Mégantic, a runaway train exploded. The train was loaded with crude oil from North Dakota, and the gigantic explosion is estimated to have killed at least 50 people. But a larger point was missing from most of the headlines on this tragedy, namely: why was the oil being transported by train in the first place? I went to the store last weekend to buy some replacement 100-watt light bulbs….and I couldn’t find any. Now, they had puh-lenty of bulbs: the squiggly, wiggly ones, along with several other shapes I’d never seen before. Plus, they also had a modest section of the normal incandescent 60- and 75-watt bulbs, but no 100’s. And then I recalled, again, the Great Light Bulb Debacle®. 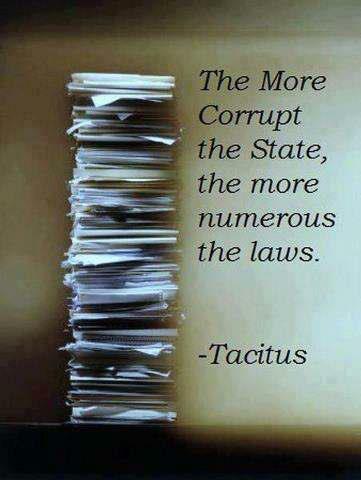 Too many Government Regulations? Heck, you ain’t seen NOTHIN’ yet…! Far, far too many Federal regulations are strangling our economy, yet there appears to be no end in sight. What makes this burdensome, crushing over-regulation even worse, however, is the near-pathological lying about it by the current Administration. The most recent (and possibly the most egregious) example of this is detailed below. It’s no secret that in the last 20 years, EVERY President has presided over an ever-increasing array of federal regulations. Some are fairly innocuous, while others have a MAJOR impact on the economy, businesses, and ultimately, US, as citizens. In early 2011, President Obama signed Executive Order 13563, ‘Improving Regulation and Regulatory Review‘, which basically directed the heads of Executive Agencies to “identify and consider regulatory approaches that reduce burdens”. It was a cornerstone piece of his 2011 State of the Union address. Over the year that followed, however, the administration enacted at least 32 new MAJOR regulations. “Major” is defined as having a projected cost to the economy of at least $100 million dollars……EACH.